Does your nonprofit ask the people who benefit from its services how to improve the organization? If so, do you give these clients, customers or beneficiaries fast and easy tools to tell you what they think? Mia Birdsong, vice president of the Family Independence Initiative, and Perla Ni, CEO of GreatNonprofits, recently addressed how to make the most of feedback in an online discussion sponsored by the Chronicle of Philanthropy. “Feedback can help nonprofits make their work have more impact and improve their services,” says Birdsong, whose organization aims to increase the social and economic mobility of low-income families. Foundations and other nonprofits can also “use consumer feedback to inform funding decisions and understand market demand,” she says. Using feedback from the people you serve not only can boost your not-for-profit’s performance, but it also lets them know their opinions count. And it might impress funders, especially if you incorporate the feedback into your objectives. Invite opinions. Use Facebook, LinkedIn, Twitter and other social media to post and share messages that invite feedback from the people who use your services. Keep your messages simple and friendly. Ni, whose organization provides information on charities to potential donors, volunteers and others, suggests writing something like, “Hey, if you have comments or suggestions or compliments for us — write a review about us!” Include a link to the website where people can post their responses. Be vigilant and creative. Solicit feedback quarterly from the people who use your services. One charity that assists low-income people wants its customers to write an online review of the organization. So it packs a reminder note in the bags of groceries it hands out. Be versatile. 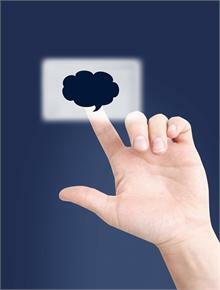 Use the technological tool or tools you think your clients will respond to best. For example, if you assist young adults, you might want to use texting because it’s so popular with this age group. Be grateful. Let the people who give you feedback know you appreciate it. On GreatNonprofits.org, for instance, some organizations post a response of “Thanks!” next to the comments. If the feedback is critical of your organization, try to contact the person directly and schedule a time to meet face-to-face to discuss a solution. Make changes. Take your clients’ and customers’ suggestions to heart. For example, students giving feedback to Communities in Schools of Pittsburgh-Allegheny County, a dropout prevention program, suggested creating an informal area for hanging out. The organization designated a space and furnished it with some sofas and a coffee table. The students reportedly were delighted. Don’t forget the “computer-less.” While most people use the Internet daily, there is still a small portion of the population that doesn’t even own a computer. So use a paper survey to harvest their opinions. A template you can use and upload is available at GreatNonprofits.org. Seek out non-clients and non-customers. You may need to go the extra mile to figure out why potential clients or customers don’t use your services. Putting together a focus group is one effective method. A family foundation, for instance, “sweetened the pot” by paying for the time of a group of teens to attend the focus group — a common practice for focus groups, in general — and also paid for the kids’ food and transportation. “Nonprofits pay for a lot of needs assessments,” says Ni, “but mostly those are top-down assessments that don’t get granular about 1) how the customer/client would prioritize the problems they face and 2) what solutions they may have for overcoming the challenge.” Try using the bottom-up approach at your organization, and you might come up with some fresh ideas that will work for you. Having people “like” you on popular social media sites may cost more than you think and is worth tracking. The fourth annual Nonprofit Social Network Benchmark Report found that the average cost of a “like” on Facebook was $3.50, while the average cost of a Twitter “follower” was $2.05. The report surveyed more than 3,500 nonprofit professionals about their organization’s use of social media to build their supporter base. Don’t let the costs scare you off, though. The survey also found that the average yearlong value of a supporter acquired via Facebook — that is, the amount of revenue received from a supporter over the 12 months following acquisition — was almost $215. It’s no surprise, then, that 81% of the respondents deemed their social network communities to be somewhat or very valuable. A study of donors to the national humanitarian organization CARE suggests that engaging donors through both online and offline approaches can pay off for nonprofits. According to the study, dual-channel donors (those who give both online and offline) have the highest annual donor value, returning about 46% more value than donors giving only through direct mail. The study also found that dual-channel donors gave almost as much through offline channels as offline-only donors ($74 vs. $85). This led the researchers to conclude that adding digital channels of donation doesn’t materially cannibalize revenue from direct mail. Moreover, traditional offline direct response donors who were engaged through online communications demonstrated higher retention rates than offline donors not engaged online. It is easy for management to proclaim, "there is zero tolerance for fraud and unethical behavior," but is it just as easy to cite specific examples of management's actions displaying this strong 'tone at the top'? The term 'tone at the top' is all a buzz in recent years due to many highly public fraud cases. The 'tone at the top' refers to the ethical atmosphere that is created in the workplace by the organization's leadership. In the newspaper every day you can find examples of how management's actions or what was portrayed by management to the employees was, to put it gently, less than ideal. How often do you hear of the positive things a company's management is doing to promote an ethical environment? In October 2009, the Financial Accounting Standards Board (“FASB”) established the Not-For-Profit Advisory Committee (“NAC”) to provide input on how Not-For-Profit financial reporting could be improved. The 17 members of the NAC are primarily comprised of financial officers from the Not-For-Profit community as well as auditors and donors. 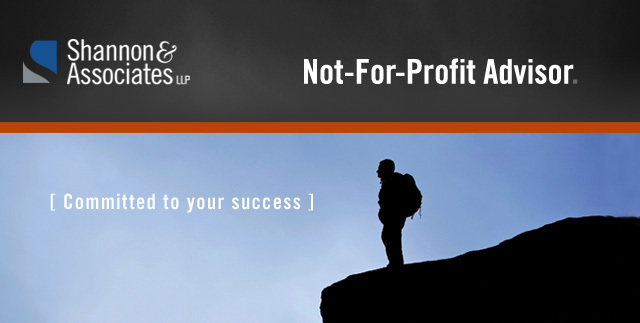 In 2011, the NAC recommended improvements be made in several areas of Not-For-Profit reporting. Key recommendations include: 1) revisiting net asset classifications in conjunction with improving liquidity reporting; 2) improving the statements of activities and cash flows to provide better information to the readers of the financial statements; 3) streamlining existing Not-For-Profit disclosures and 4) establishing a “commentary and analysis framework” which would allow Not-For-Profit officers to discuss the financial health and operations of their organization. In response to these recommendations, the FASB has two major Not-For-Profit projects underway. The first is a financial accounting standard-setting project and the second is a research project to identify improvements to be made in other financial communications. There are three primary areas of focus in the standard-setting project. The first is improving net asset classifications as well as liquidity information provided in the financial statements. The goal is to provide better information on the Not-For-Profit’s resource liquidity as well as its financial flexibility. Ideas under consideration include either expanding net assets and liquidity reporting to include other restrictions on the use of assets, such as by statute or contract, or reducing net assets to two classifications and supplement the information through the use of subclasses or expanded disclosures. The second area of focus is on reporting financial performance. The questions being considered are whether the statement of activities and cash flows could be improved by changing the reporting model as well as by providing better linkage between the two statements. Finally, report disclosures are being reviewed in order to reduce disclosure overload while making the essential disclosures more comparable and effective. This project focuses on how to provide better information to readers of Not-For-Profit financial statements. This includes consideration of requiring a management commentary as a part of the report (not unlike a public company’s management discussion and analysis) which would provide better disclosure of liquidity and forward-looking information so creditors, donors and other users would be better able to determine the short-term and long-term viability of a Not-For-Profit. The standard-setting project is estimated to be completed by the end of 2014 and will most likely result in significant changes to current Not-For-Profit reporting standards. Progress on the projects can be found on the FASB website at www.fasb.org. For more information, contact Linda Shupack at LShupack@Shannon-CPAs.com.